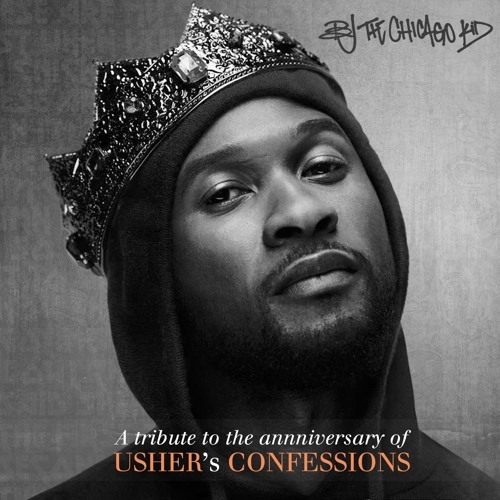 BJ The Chicago Kid Releases Tribute To Usher's "Confessions"
January 2016 BJ The Chicago Kid dedicated a tribute to D'Angelo with a 3 track project. He set out the show his love to the music that impacted his career and the genre of R&B. In my opinion he did much justice to up hold the legacy of the song "How dose it feel", which you should miss, "Untitled: Salute To D'Angelo". Later that same year he dropped an ode to one the greats, Marvin Gaye, with a song and video called "Uncle Marvin". Yesterday was the anniversary of the Usher's "Confessions" album, on March 23rd, calling it "one of the greatest R&B albums of all time". He teamed up with producer Jairus Mozee and Tubb Young to create renditions of songs from Usher's album. Its a 3 track release where BJ The Chicago Kid once again brings the spotlight back to traditional R&B, but this time with monologue from Usher to get his point across. Stream below.